1. 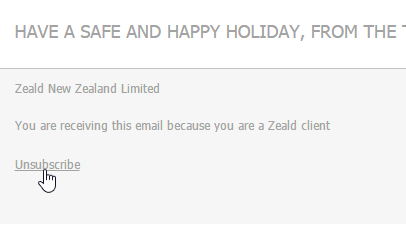 On a marketing email you have received, scroll down to the bottom of the email. You will be redirected to a Thank You page confirming your removal from the subscriber list. 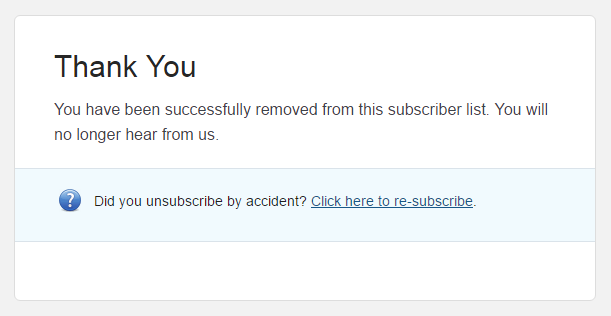 NOTE: If you have accidentally unsubscribed from the subscriber list, click the re-subscribe link to be added back to the mailing list again.